The T-Shape will appeal to aspiring conservatory owners who just cannot decide how best to utilise their newly developed space. 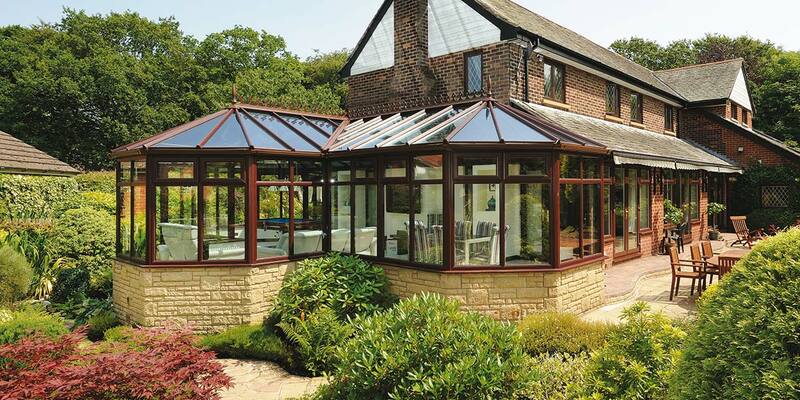 You can see elements of three classic conservatory types in one design with the T-Shaped conservatory – Victorian, Edwardian and Gable. Combining the stand-out features of these timeless offerings gives the T-Shape design an unparalleled amount of spaciousness, partly due to the multi-faceted frontage. 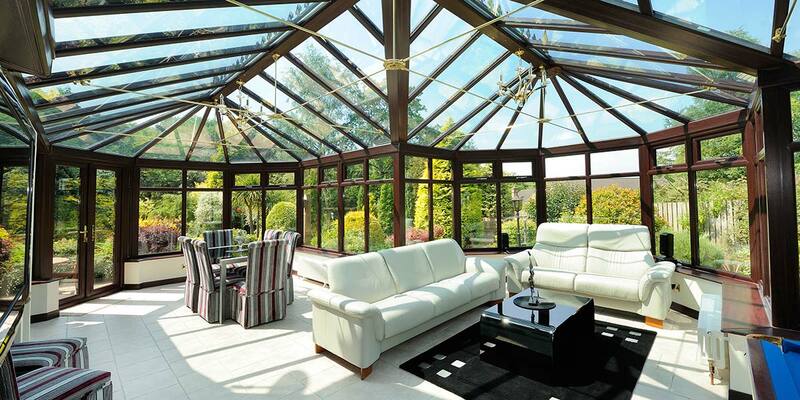 Tailor-made for the more expansive residence, the T-Shape conservatory has a seated area right in the heart of the structure which seemingly projects forward into the garden area. 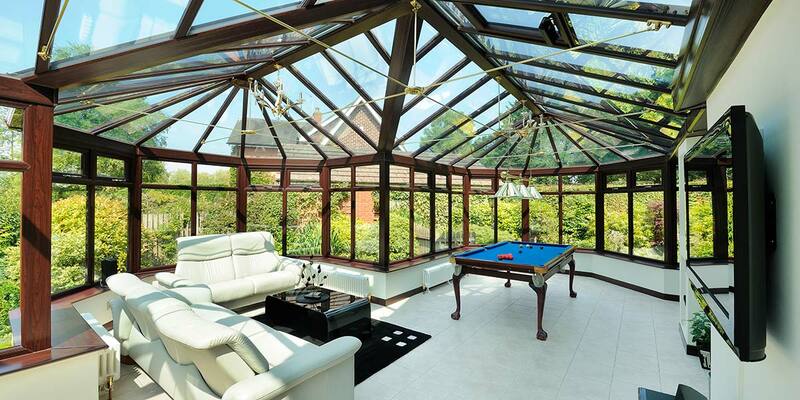 Having two rooms in one has made it possible to include both a spacious dining table and good sized snooker table. When you see the mahogany woodgrain in person you will scarcely believe that the structure hasn’t been constructed from timber, but we promise you it hasn’t! 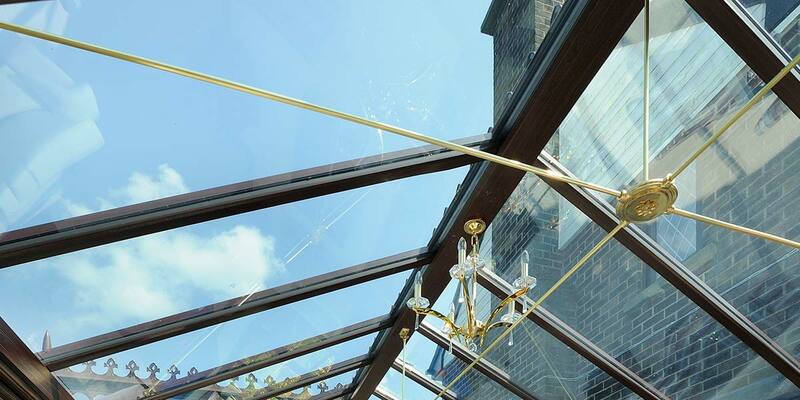 Despite of the brickwork base, prolonged pieces of glass has been inserted into the framework to entice light inwards and prevent the interior from ever feeling dull and lifeless. 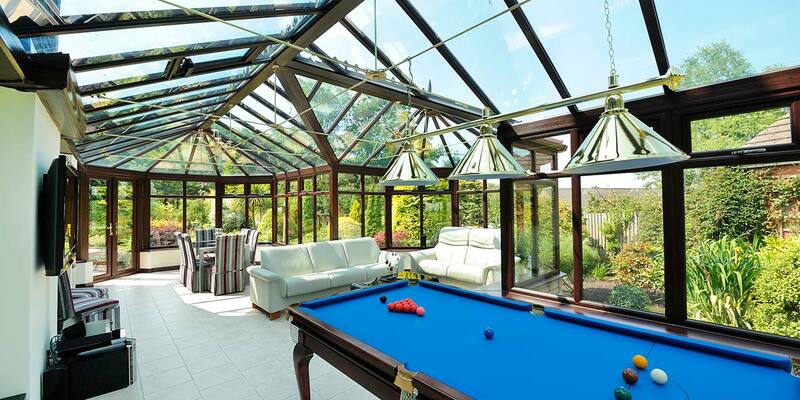 At the end of each day, what better way to unwind than with cue in hand or sunken into the sofa as the artificial light provided by the shades above the snooker table and candle-armed lights reverberates around the space. One of the final finishing touches was the French door installation so that all that greenery around the conservatory can be embraced.